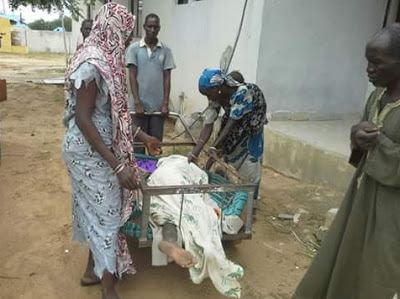 Members of a family in Yobe state have taken the corpse of their beloved, back home in a wheelbarrow after she died at a general hospital. 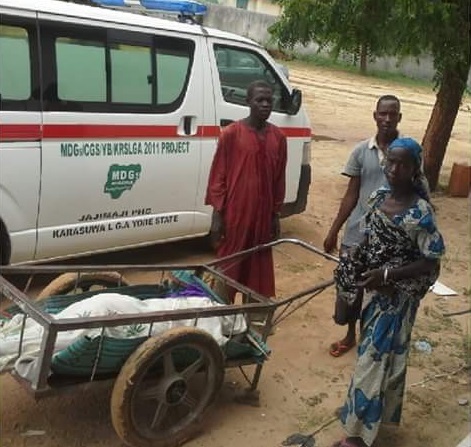 They couldn’t afford to pay for the hospital’s ambulance and the management won’t help either. A pained facebook user captured the moment and shared it online. So so heartbreaking! May the Lord rests her soul.